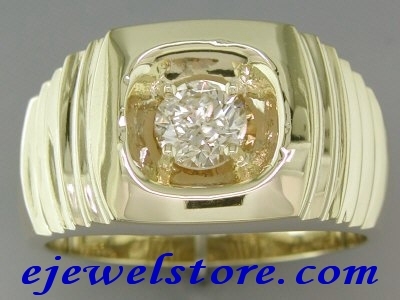 4/5ct (0.79 Carats) Diamond Men's Solitaire Ring in 14 Karat Yellow Gold. 12.25gms Gold! Plus a Great big SI2-SI3 clarity diamond! Includes written appraisal $6990. 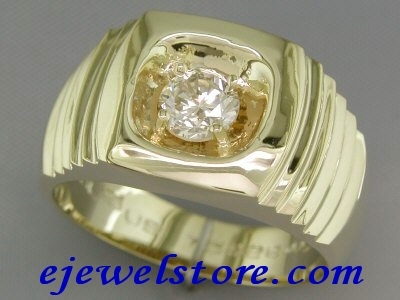 Ring size 10 (U). Can be resized by a local jeweller.